Recorded in Paris by Tyler Brûlé, this final episode of the series features House ambassador Pharrell Williams. Ahead of the reveal of his capsule collection with CHANEL, the musician recalls his own&nbsp;journey with the House: his first memories and the ongoing creative conversation that led him to design the collection. The ‘Métier Class&nbsp;by CHANEL’ podcast series is an invitation to discover behind-the-scenes of CHANEL’s creation through conversations with Karl Lagerfeld, Bruno Pavlovsky, president of CHANEL Fashion, and friends of the House Pharrell Williams and Amanda Harlech. In this third episode of the series, Tyler Brûlé meets Amanda Harlech at 31 rue Cambon in Paris, the birthplace of CHANEL Haute Couture. "Karl Lagefeld's outside pair of eyes" and creative consultant shares her vision of Haute Couture as well as how to convey its experience in a digital era through films and exhibitions. 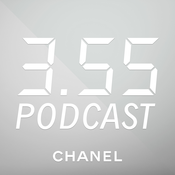 The ‘Métier Class&nbsp;by CHANEL’ podcast series is an invitation to discover behind-the-scenes of CHANEL’s creation through conversations with Karl Lagerfeld, Bruno Pavlovsky, president of CHANEL Fashion, and friends of the House Pharrell Williams and Amanda Harlech. The morning after the Métiers d’art show in New York, Tyler Brûlé travelled Uptown to discuss the contribution of the Métiers d’art to creation, craftsmanship and innovation at CHANEL with Bruno Pavlovsky, president of CHANEL Fashion. In the second episode of this series of podcasts in collaboration with Monocle, the two protagonists touch on the importance of local relevance, the role of well-executed retail and his two decades at CHANEL. The ‘Métier Class by CHANEL’ podcast series is an invitation to discover behind-the-scenes of CHANEL’s creation through conversations with Karl Lagerfeld, Bruno Pavlovsky, president of CHANEL Fashion, and friends of the House Pharrell Williams and Amanda Harlech. Recorded in December at the Métiers d'art show in New York, the first episode of this new series of podcasts in collaboration with Monocle magazine and Tyler Brûlé features Karl Lagerfeld who through his extraordinary creativity, his enlightened mind and his inspiration has reinvented CHANEL.&nbsp; The ‘Métier Class by CHANEL’ podcast series is an invitation to discover behind-the-scenes of CHANEL’s creation through conversations with Bruno Pavlovsky, CHANEL president of Fashion activities and friends of the House Pharrell Williams and Amanda Harlech. 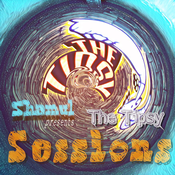 Lyt til 3.55 - CHANNEL, Tipsy Sessions og mange andre stationer fra hele verden med app'en radio.dk.